COMMENTARY Mitt Romney has a leadership problem, he doesn't know it, and he can't fix it. Gingrich has a similar problem, but he does know it, and he has tried unsuccessfully to fix it. You may have the same problem: You need to change something about yourself -- a position on an issue, or even how people think of you as a person -- and you need to do it with authenticity. In leadership, change is rarely optional, and authenticity never is. Get change and authenticity right and you're Ronald Reagan, who left the Democratic Party and became the standard bearer in the 20th Century of new conservatism. 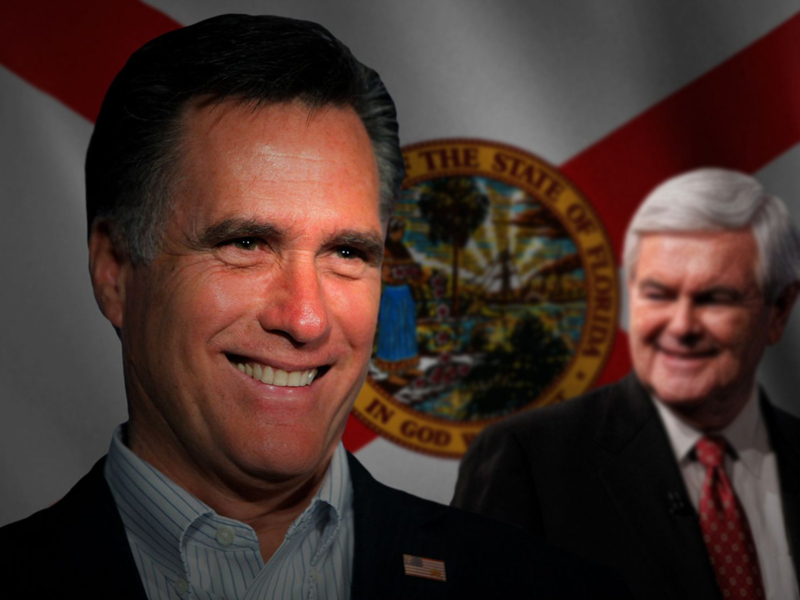 Get it wrong and you're, well, Romney and Gingrich. Romney won Florida handily Tuesday, and certainly he's the odds-on favorite to win the nomination. But he still has a challenge ahead. What Romney is asking the Republicans to believe is that he's looked deep inside himself and seen the error of his ways on abortion and healthcare, and that he's converted to the right of where he was for most of his adult life. What he's asking us to buy is nothing short of a political rebirth. Anyone who has heard a debate on abortion knows that switching positions isn't like picking a different shirt. The question people are asking is: Has he really changed? Are the words they're hearing authentic? And the answer they are coming to is, "no" on both questions. One of the most interesting fields in communication is deception detection. Research across many decades shows that we aren't great at detecting whether someone is lying to us. But one factor that makes us question truthfulness is when verbal and nonverbal messages are in conflict. Conflicting verbal and nonverbal signals renders leaders ineffective. Here's where this research is biting Romney. A person who really changed fundamental views comes with an air of sureness that is both centered and, if you buy what he's selling, magnetic. It's a change that's so important, it's all people want to talk about. Think of someone you know who became religious -- or suddenly became an atheist -- and you often wish they'd shut up. But you probably don't doubt their authenticity. Romney communicates his move to the right with the importance of switching out a blue tie with red stripes to a red tie with blue stripes. Having watched him for many years, I'm a fan of his (and as a capitalist, found myself defending his work at Bain Partners as necessary and of service to the economy), and only wish he'd act like who he really is: a smart man who is deeply confident in his abilities, his faith, and his success in life. Unfortunately, he also comes across as believing that if he speaks his mind, he'll lose the election. So he's hired coaches who stage every gesture, wardrobe choice, and half-curved smile. His Pixar-generated hair adds to the problem: a zealot (which is what self-reinvented people often become) puts message before appearance. Think Ron Paul. It appears Romney's trying hard to look like a regular guy, but regular guys don't hard try hard. The result of this performance is a tsunami of confusing signals, and it leaves people increasingly convinced that he's trying to pull one over on us. In a word, inauthentic, and that calls into question whether he's really changed. Gingrich made the second mistake of authentic change: Cover over the cracks of a change-in-process with rage. Gingrich knew he needed to hit control-alt-delete on his public persona after ethics violations, years spent as a Washington insider, and breaking up with various ailing wives in ways that qualify him to have his own reality TV show. Instead of joining the make-of-fun-Gingrich parade, I've seen what appears to be authentic remorse, repentance, love for his new wife, anger at Obama, and indignation for Romney. The problem is, anger doesn't work when the person who is angry appears to still be evolving. Gingrich's poll numbers track the sense-making process perfectly. People saw him and didn't know what to make of him. As they sorted through the signals, he got attention, and a lift in the numbers. Voters figured him out in the same way they finally passed judgment on Simon Cowell -- he was fun to watch for a while, but the anger gets old. As people came to this conclusion, his poll numbers fell, and the Florida results showed that attention is moving away. First, know what's required. Authentic change means looking deep inside yourself, and acting on what you see. This is not for the timid, and this process can't be faked or acted. The best line on self-reinvention comes from Warren Bennis' classic On Becoming a Leader: "Once-borners... have been invented by their circumstances, as in the case of Johnson and Nixon, while twice-borners have reinvented themselves, as in the case of Roosevelt and Truman." (Don't think of twice-borners in terms of "born again" -- this concept has nothing to do with religion.) Authentic change requires effort, curiosity, and acceptance for what you might find. If you want to go deeper on authentic change, my personal blog offers a realistic look at the process. Second, commit to a long process that starts now, and won't end until the "new you" solidifies. At best, Gingrich comes across as a work in progress, rather than a twice born person. Maybe he's born one and a half times, and that's a bit too strange for the White House. Third, build your social role around that new person. With Romney, we get the feeling that the real him is in there somewhere, tucked away in an Al Gore lockbox. We want to connect with that person -- the one we can't see no matter how hard we look. Most people don't think about it that deeply, and end up with a feeling that something with him is off, but they can't articulate what. Change and authenticity are foundations of leadership. This election cycle offers lessons on what happens when people when people don't get them right. Dave Logan is a USC faculty member, management consultant, and the best-selling author of four books including Tribal Leadership and The Three Laws of Performance. He is also Senior Partner of CultureSync, a management consulting firm, which he co-founded in 1997.